Shipping to Sydney from the United Kingdom including the Greater London area. Professional and fast! If you need any advice whilst planning a move to Sydney this short article will definitely help you and give you some useful hints and tips. Things to try and to do! 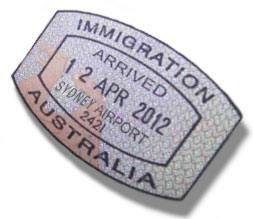 If you have decided to move to Sydney form the United Kingdom the first thing you need to take care about is your visa. All travellers going to OZ require a visa. British citizens can obtain two types of electronic visitor visa. The first one is ETA (which stands for Electronic Travel Authority) and can be purchased for A$20 via travel agency or airline. The latter one is eVisitor visa which one can obtain from Department of Immigration and Citizenship. Don’t forget to check your passport expiration date. To move to Sydney you must hold a valid passport. It has to be valid for your whole planned stay. How much to ship to Sydney from the UK? Most of the time it is easier to contact an international movers and ask for a removal quote with different options: shipping by sea or by air, with or without packing service, with or without packing materials. It’s crucial to choose experienced, trust-worthy removals to Sydney. Many firms specialize in international removals, some just in shipping to Australia, so it would be reasonable to compare prices offered by several removal companies. shipping 20 ft container to Sydney form the UK may cost you as much as - £3800 - depends on services included, the time of the year and other factors. 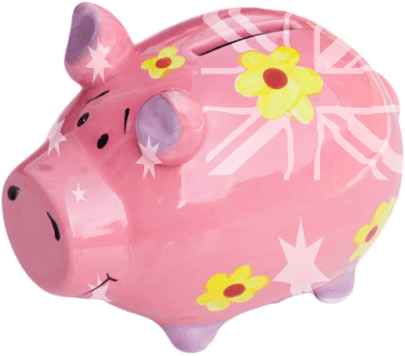 If you would like to find out how much to ship items, furniture and other goods to Sydney please call us for the exact shipping costs. After relocating to Sydney form Great Britain you will have to be prepared for Christmas barbecue! Anyway, take into consideration that season on the Southern hemisphere is different from the one on the Northern. This can be helpful in packing – take the part of clothes you will need at the time in Sydney. The rest can be shipped by sea with low costs. At this point you should make a list of all items you want to send to Sydney. Too many of them? This list will definitely help you to cross something off as well as make you aware of the number of books, DVDs or furniture you wanted to take with you in the first place. What’s the main difference between sea shipping and air freight? Time and price vary the most. Removals to Sydney by sea is much cheaper, but takes relatively longer time. The price is based on the volume of shipped goods. In contrast air shipping is prompt but expensive and the costs are being calculated on the basis of weight. When you want to take big boxes, furniture, household goods, etc., with you to Sydney you should consider renting a 20 or 40 feet shipping container or a half of it and shipping by sea. Excess luggage can be shipped by specialist companies. What comes first on your mind when you think about Sydney? Kangaroo, Sydney to Hobart yacht race, the Olympic Games in 2000, the biggest city in OZ or the capital of it?... No, it’s not true. It’s Canberra. Let’s go on – sun, beaches, surfing! Sydney is one of the best places to live. The temperate climate, with warm summers, mild winters and lots of sunny days. It becomes even more fascinating when you think of beautiful beaches of Sydney. You can also count on friendly Aussies. People are really open, outgoing and helpful there. Maybe the weather, wildlife, and friendly neighbours, makes people happy there. What to do with all your electrical appliances? Sydney runs on 220 V like the most of the world. If you’re moving to Sydney from the US or Canada (which run on 110V) it would be better to leave it all behind and buy a new stuff while you there, since using a power converter can be a real pain. They tend to not work as they should. However we have had plenty of customer that are happy with changing the plugs or using adapters. Some appliances, like laptops have their own power converters. The range of voltages a given appliance can handle should be printed on its adaptor and it is definitely worth checking before your relocate to Sydney. Don’t be worry about your DVDs. It’s true that they won’t play in their DVD players, but there are plenty of region free DVD players you can buy there. Only if you’re moving from North America you won’t be able to use them because of the different formatting. If you have any questions you should ask your movers. They should be able to answer every question you may have regarding removals to Sydney. What you should definitely try and do in Sydney? First of all delicious local beer. Secondly, Vegemite which is a food paste made from yeast extract. Don’t get prejudiced before you get to try this dark brown spread. It tastes a bit salty, bitterish or sometimes malty as it is made from by-products of beer manufacturing. Cheap Shipping to Sydney from the UK, England, Scotland, London, Birmingham, Manchester, Bristol, Liverpool, Glasgow, Edinburgh and Aberdeen. This beautiful city is sometimes referred to as the world capital of a happy life. Why? There are many reasons. The perfect location of Sydney brings to mind the land of dreams, relaxation and eternal vacation. The city is situated on a peninsula and bays of Port Jackson. It's a young metropolis, which within barely two centuries made ​​a stunning career. Within two thousand years Sydney has gained a reputation of the most fashionable city in the world and now attracting many tourists and immigrants from all over the world. It is known not just because of the Olympics. There is always something going on in Sydney and there is no time for boredom. Even during a tourist trip Sydney can be a real adventure experience. Only the famous Harbour Bridge Guest-house will make your move here worthwhile. Single-span bridge was opened in 1932. It is 503 meters long and it is the widest bridge in the world. Its steel structure is connected by six million rivets. From The Rocks area you can climb 200 steps to the south pillar of the bridge or with a guide to the top of the span. The entrance to the bay (day or night) takes about 3 hours. Each participant climbing is equipped with a special suit with a rope. But despite the extra security measures taken a light feeling of fear and excitement will not abandon you for a minute. It is, after 134 meters above the water surface. The last step brings a great reward - a souvenir photo and a beautiful panoramic view of Sydney. The city looks like a jigsaw puzzle with blocks, the land interspersed with water, forest, tall office buildings, canals with intersect points marked by white sails. This view leads to a closer look at this enchanting place. It gives you a good reason to move on for a walk around the city. At the same bay, in the background of the bridge proudly presents the famous opera house, the symbol of the city. The building was designed in the 50s by Dane Jorn Utzon. His inspiration was the sails of yachts and temples of the Aztecs and Mayans. The design proved to be very difficult to implement and construction went on for 15 years, but the end result is stunning. But this is not the only building from which the residents are proud of Sydney. The precious architectural monuments also include houses from the nineteenth and early twentieth century. The only regret is that there are already so few of them left. The Sydney City Centre is full or retail and office streets. You can also find there very famous - modelled on the London or New York - a huge, leafy Hyde Park, full of children, youth and people in love. Here, the time flows lazy and quiet. This is actually anothre good reason to choose Sydney if you are planning to move with children. Most is happening in modern shopping centres. If you are rich enough you can come here buy a lot of items you would not get in the UK and ship them back to your home. You can instantly see that Sydney is a veritable pot of cultures. There are as many Ethnic restaurants in Sydney as nations of the world. And that’s why as soon as you have moved to Sydney from the UK you can find a bit of of Bangkok, London, Paris or Berlin. Even in Cockle Bay Wharf (great architectural complex of glass, steel and concrete) - the newest Sydney attraction – you can find affiliates of almost all best restaurants in OZ. If you were looking for a good reason to move to OZ that should be enough to persuade at least the food lovers to pack their furniture, goods and other items and organize the shipping from UK to Sydney from London, Glasgow, Bristol, Birmingham, Leeds, Sheffield, Liverpool, Leeds, Aberdeen and Edinburgh. Europeans moving to Sydney meet on this continent many unknown animals, but undoubtedly the cutest of them are koalas. Though to see these little ones you should take a cruise along the harbour to Taronga ZOO, where you can, for a limited time, take them on your hands and cuddle. You can also see here kangaroos and white tigers which do not live in cages. We know the animals here will not stand in for your dog or cat. Bringing pets to Sydney is not banned. You can contact our shipping company for a free quote. For those who like occasionally treat themselves with an injection of strong sensations, Sydney has prepared another, much more exciting entertainment. In the world's largest aquarium one can stroll in a long tunnel and watch the breath-taking underwater world of the ocean. The majority of tourists come here for the massive, ten-foot shark that swim lazily behind the transparent wall of acrylic glass, showing his terrifying jaws. There are many more great places to visit. Relaxing on the beach right after a hard day's work for the residents of Sydney is the most normal thing in the world. Only within the city circus there are about 30 bays with beautiful swimming areas. The most famous of them is Bondi, a Mecca for surfers and fans of the sun. Insiders say that nowhere else in the world one can get more beautiful tan. Hopefully you have now enough reasons and want to move to Sydney from the UK. Contact us today to find out the costs of shipping to Sydney from London, Bristol, Glasgow, Birmingham, Manchester, Southampton and Liverpool. We can send excess baggage, boxes or other goods to Sydney at affordable rates.